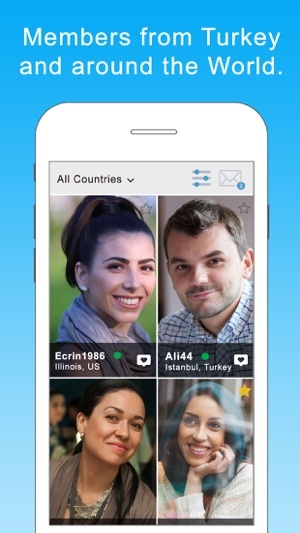 99Türkiye is a Dating App for Turkey, Turkish people worldwide and anybody who's looking to meet people in Turkey. • We have thousands of active members, and new members from Turkey and around the world joining every day. • We put our full effort into accepting only people who are serious about finding their soulmate. Our team of administrators actively monitor the quality of the service. • For our male members : Stop paying expensive monthly subscriptions. • For our female members : Are you tired of receiving messages from incompatible people half the way across the world? With 99Türkiye you can control who can contact you - by country, by age and even by languages spoken. Download 99Türkiye now and start searching for your soulmate. Why wait? Worthless app! They permanently suspended my profile, just because I am a guy looking to meet another guy. They should be ashamed and I am reporting to the App Store. 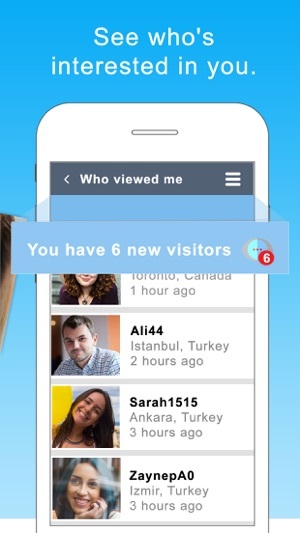 The advertisement for the app clearly states it's for those who are Turkish or those searching for Turkish romance. I made my profile. No crude words. Nothing wrong. I'm a white, atheist female so despite having the options for us to include atheist as our religion they banned me (permanently) for it. Clearly the admins aren't accepting/are racist. I like Turkish men and have enjoyed meeting them in the past and I thought this would be a great way. While I did have access I noticed they simply have a handful of guys scattered over the globe so isn't an ideal way to find anyone... and with their banning anyone who doesn't fit an exact profile, it's no wonder there's sparse selection.